Look, even with its lack of more advanced features (to be fair, most of which were introduced after the 5c was first unveiled), the iPhone 5c could still be a decent phone in 2015. COULD be. But Apple put the final nail in its coffin when it decided to cut the 5c’s storage options from 32 and 16GB down to just 8GB. That’s not enough in today’s day and age. The average user will fill up 8GB of storage within the first few weeks of using a smartphone. And if that happens, what’s the use of owning a smartphone if you don’t have the storage space available to use its advanced features? If you are trying to decide between the iPhone 5s and iPhone 5c it is a question of whether you need all the extras offered by the iPhone 5s. Perhaps you are enticed by the new camera in the 5s, for example. If you need the latest technology it is only £80 more, so it's kind of a no-brainer. But not everyone needs the bells and whistles - for some it's not the processor and the high tech features that matter, but the way a device looks and feels and whether it helps them express their individuality. If you fit in that camp then the iPhone 5c is well worth a look. The iPhone 5C is a strange phone. While the range of colours will appeal to a lot of people it pales in comparison to the 5S. It is overpriced and underpowered and not up to the standard of other Apple products. Given how close in price the two phones are, it has to be said that the iPhone 5S is much better value, plus you get a metal case, a faster processor and the new M7 motion coprocessor. This is the phone that we'd rather buy. Unless you take money out of the equation, or you simply have to have an iPhone, it is difficult to make the case for the 8GB iPhone 5c over budget Androids and Windows phones. You could buy four Moto Gs for the price of the iPhone 5c, and you have to work hard to make a plausible argument that the iPhone 5c is worth even a penny more. The iPhone 5c does offer the best cameras here, and its battery life is good. But the only real reason to chose to pay £429 of it rather than £100 for the Moto G is that it is an iPhone, and you prefer iOS. That being the case, I'd still avoid the 8GB iPhone 5c. Apple still offers the iPhone 4S for £349 which also has 8GB of storage, but here's what you should really do; buy a second-hand iPhone 5 with a decent amount of capacity. A quick search online reveals the phone can be purchased for around £300. Evenly matched on price, cameras and performance, the HTC One wins on storage and display, whilst the iPhone 5c may just edge it on battery life. Build quality and software are of a similar quality but different. But if you have no strong feelings on design or Android/iOS, you need to opt for the HTC. Overall, the iPhone 5C has really won us over, perhaps more than the iPhone 5 ever managed to do. If you can look past the design, and aren't keen on forking out for Apple's flagship iPhone 5S, the iPhone 5C is a worthy option. Instead the iPhone 5C is stuck rubbing shoulders with the big guns of 2013, a lot of which have witnessed slight price drops since launch making them cheaper than this Apple offering, and along with sporting better specs and more compelling features, it makes things difficult for the 5C. It's not that Apple has done its best to make the iPhone 5C appealing, but as last year's phone re-packaged its hard to recommend it totally - although the large range of colours and combination with iOS 7 helps enormously. In the end, though, it's the 5c's price that really lets it down. What we were expecting from Apple when it announced a cheaper version of the iPhone was, well, something that was significantly cheaper than what went before. In fact, what we got was something that's only marginally less expensive, costing £469 SIM free for the 16GB version, and available free only on contracts of £31 per month and above. There's nothing wrong with the hardware, but at this price we feel it doesn't do enough. Overall, it's another quality effort from Apple but as the device is only £60 cheaper than the iPhone 5s SIM-free it's still an expensive option. With the enhanced functionality that iOS brings to users and IT admins - it is an attractive proposition for first time iOS buyers, but Apple has missed an opportunity to make make it a compulsory purchase by not making it cheaper. It’s not really clear why Apple has made the 5C. It is a great phone, sure, and anyone who does buy one will not feel short changed. But we're not sure who will buy it. The price means it has little chance of competing with Android devices – at any level – as it is more expensive than some high-end devices, and is even on par with the Samsung Galaxy S4. Any businesses considering offering a new Apple device to staff would be better off looking at the iPhone 5S because of its Touch ID fingerprint scanner, which most IT departments will likely see as a great extra level of protection for corporate data. Also, it’s not hard to imagine any executive worth his salt arguing that he can’t be seen with the ‘cheaper’ new iPhone device, even if the 5C still costs a lot of money. The $99 iPhone 5c represents a shift in strategy for Apple. Before now, the company released just one new phone a year. Now, you can choose from the higher-end iPhone 5s, which costs $100 more up front, but features a much faster processor and better camera. We should be comparing the iPhone 5C against the Samsung Galaxy S4 Mini and HTC One Mini, but thanks to that hefty price tag Apple has slapped on its plastic clad handset we can't as it's already priced itself out of that market. In summary the iPhone 5C is a great phone, it's just a shame it's last year's great phone wrapped in a less appealing shiny plastic body and slapped with a still-premium price tag. It's not that Apple has done its best to make the iPhone 5C appealing, but as last year's phone re-packaged its hard to recommend it totally - although the large range of colours and combination with iOS 7 helps enormously. There can be no one verdict on the iPhone 5c - reactions to it are so extreme and subjective that any attempt at an all-encompassing objective pronouncement is impossible. Daft, even. The most we can do is set it in context, and be honest. Lastly, we love the OS. Yes, we can see every one of the things that need fixing, and we know that iOS 7 could have been so much wilder. But the new OS is beautiful, and we like celebrating the delightful, rather than meanly fixating on every failing. Apple iPhone 5C vs iPhone 5 comparison review: What’s the difference between the iPhone 5c and iPhone 5? The main difference between the iPhone 5C and the iPhone 5 is the colourful plastic casing. It's cheaper than what Apple sold the iPhone 5 for and specs remain largely the same. Added 4G support might be a key upgrade. With the iPhone 5c, Apple's crafted something that's more than just the sum of its parts. It's easy to be cynical and dismiss this handset as just an iPhone 5 in a colorful plastic shell, but that's missing the point. There's no doubt that the 5c looks gorgeous and feels wonderful in hand. We’re not, however, Apple’s only audience, and while the iPhone 5c may be, for the most part, last year’s flagship in this year’s fashion, there’s no denying that there’s an appetite for that. The iPhone 5 remained an excellent option up until its (perhaps premature) retirement, and the iPhone 5c takes the best of that and makes it more eye-catching and more affordable. The power users should look to the iPhone 5s, but for the mass market, the iPhone 5c will open doors that only a colorful, playful device can. The iPhone 5C is essentially an iPhone 5 in a plastic coat. The features match and also surpass the likes of the Samsung Galaxy S4 Mini and the HTC One Mini it comes to the camera, the quality of the screen and the power of the processor. For those naysayers that wondered if plastic could be premium, we have to admit that Apple has proved them wrong and the colour options will be a big draw for some. It's too early to give the definitive verdict on the iPhone 5C. Suffice to say that Apple has introduced another premium smartphone on to the market without literally or figuratively devaluing its top-of-the-range iPhone 5S. 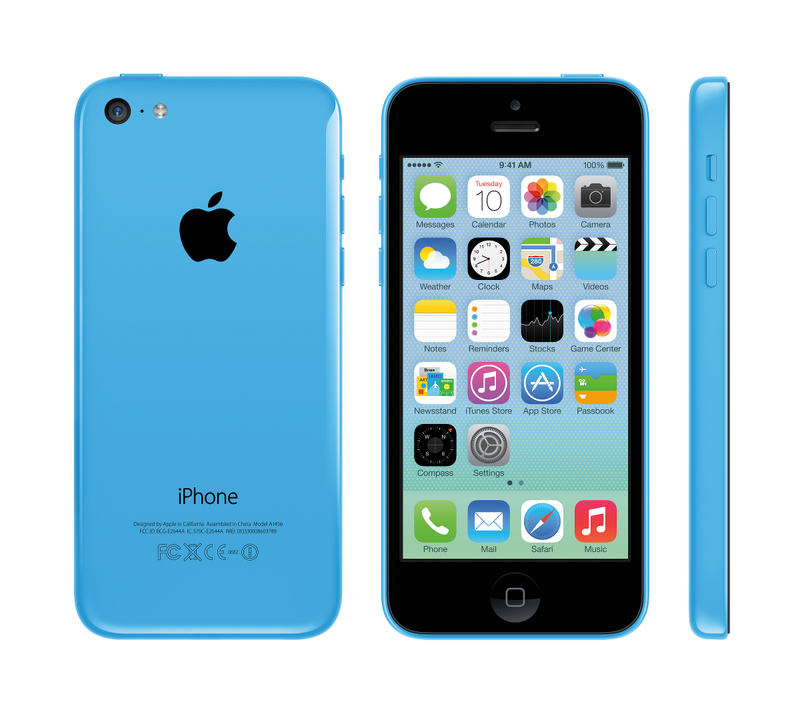 The iPhone 5C should offer excellent performance in a robust shell. An intriguing product. Apple iPhone 5C vs iPhone 5 comparison review: What's the plastic iPhone 5C got? The iPhone 5C is crafted from hard-coated polycarbonate with a reinforced inner steel structure and will arrive in green, blue, red, white and yellow. No sensible black here folks. There will also be a variety of multi-coloured cases which, once administered, will turn your iPhone 5C into a raving Dalek. Yes, it's mostly the DNA of an iPhone 5, but there's so much more going on here - the colours are going to be a real selling point across the world. We can't see the specs drawing many people in – although those that just buy into the iDream without a thought for what's running under the hood will be chirpy at the thought of having to shell out less cash. The Apple iPhone 5c is only technically a new product. It sports some new cute color options, but at a closer look it is just the iPhone 5 with a slightly cheaper price tag and new colors. This is not necessarily a bad thing, because the iPhone 5 was a good phone. There are a few small tweaks though: iOS 7, slightly extended battery life, and a few minor lowlight improvements to the front facing camera. It has also got more widely compatible global LTE coverage. Overall, it would be difficult for most iPhone 5 users to really tell the difference, if it were not for iOS7. The screen is the same 4 inch, 1136 x 640 pixel Retina display as the iPhone 5's. Nowadays, a 4 inch screen is starting to seem a little small. The bezels of the Apple iPhone 5c seem unnecessarily wide. At the moment, in terms of performance it is even not too different from the iPhone 5s (with the exception of the fingerprint scanner). However, once more apps and the OS are optimized to take advantage of the more advanced hardware in the 5s, this will change dramatically. In other words, the 5c is really not future proof. The colorful plastic casings do not feel cheap, and give it a comfortable, sturdy heft. Overall, the Apple iPhone 5c is not a bad choice for now, and can still hold its own with the competition despite the seemingly outdated hardware. PowerVR SGX543MP3: 3 core graphics card with 12 unified shader cores These graphics cards are not suited for Windows 3D games. Office and Internet surfing however is possible. » Further information can be found in our Comparison of Mobile Graphics Cards and the corresponding Benchmark List. A6: SoC developed by Apple with a custom dual-core ARM CPU and a PowerVR SGX 543MP3 GPU.» Further information can be found in our Comparison of Mobile Processsors. 83.76%: This rating should be considered to be average. This is because the proportion of notebooks which have a higher rating is approximately equal to the proportion which have a lower rating.